Baggage loss and delay coverage pays up to a specific amount if luggage is lost or delayed by an airline. The amounts vary from one insurer to another and are usually based on a pre-selected value for lost luggage and a specific threshold for luggage delays. Since luggage delays usually last several days, compensation provides a traveler with funds to buy clothing and necessities to last until the delayed luggage arrives. Most travelers who lose their luggage are angry to learn that the majority of airlines provide very little financial compensation if they provide it at all. Some airlines may not compensate travelers for lost or delayed luggage. When compensation is provided, it is on a case-by-case basis but should never be relied upon for an emergency. Not all credit cards offer this perk. Check with a card company before leaving. Although some provide lost or delayed luggage insurance, it is limited and comes with many exclusions. Also, many credit cards only cover what is not covered by primary insurance. For those who do not have home or renter’s insurance with lost baggage provisions, it can be hard to receive adequate compensation from a credit card company. While it is better to avoid getting a credit card just for this coverage, be aware that some cards offer significantly better coverage than others. 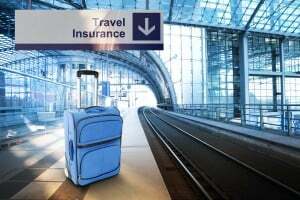 Trip insurance with coverage for lost or delayed baggage does come with some limitations. It typically compensates for anything that an airline will not cover. Since airlines usually cover little to nothing, the travel insurance policy winds up compensating for most luggage-related losses. If there is a delay, the airline usually will not provide any approved monetary compensation for at least 24 hours, and the policy may provide additional compensation if the airline’s provision is inadequate based on the amount of time it will take for any delayed luggage to arrive. Also, check to see if the travel insurance policy is secondary to home or renter’s insurance before purchasing it. Although lost or delayed luggage may not be predictable or preventable, it is smart to keep important items in carry-on bags whenever possible. Always compare trip insurance policy terms and their levels of compensation for lost or delayed baggage before purchasing one.